With life being so hectic nowadays, there's a strong need to have a tool which can help plan your day and provide you with reminders. The simplest way to schedule your time is to actively utilize a calendar. Now, we don't mean the paper versions that you hang on the wall, we mean the ones that have been digitized for ease of use. One of the best available is Google Calendar, but the question is – how do you get that on your Apple iPhone? We will discuss in the following parts. How to Add Google Calendar to iPhone? 1. How to Add Google Calendar to iPhone? Well, it's amazing how technology works; despite them being two different brands, there's a function where you can integrate your Google Calendar with the calendar app already on your iPhone. Head to Settings on your iPhone, then go into 'Accounts & Passwords'. Select 'Add Account > Google'. 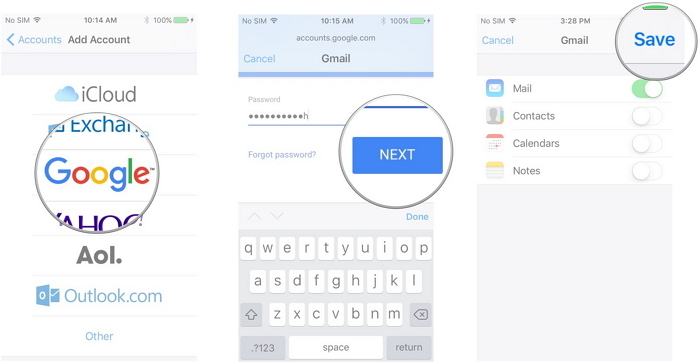 Once you've inputted your email address, tap 'Next'. After logging into your Google account, everything will be synced. 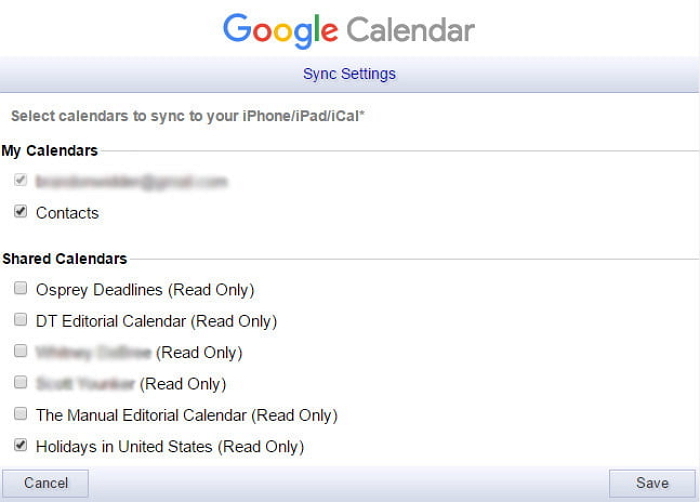 Log into your Google Calendar account, and then enter the sync settings. Once you're in there, you'll see a list of both your personal calendars and your shared calendars, with check boxes by the side of them. Whichever ones you want to sync with your iPhone, you need to make sure there's a tick in the check box. After selecting which calendars you want, just hit the 'Save' button at the bottom. Hop over onto your iPhone, open up the calendar app and wait for it to sync. However, bear in mind that when it comes to Google and Apple working in harmony, it isn't all plain sailing. You see, there are a few features which just don't work. 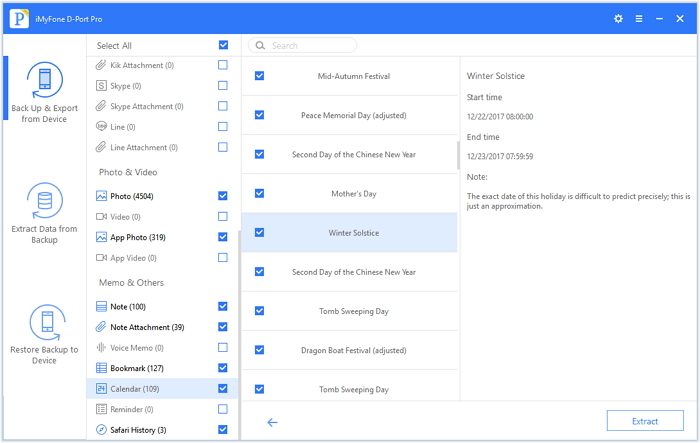 Plus, what if you want to want to export that Google/iPhone calendar mixture to your computer – is it possible? Yes, it is. It enables you to export calendars from the in-built iPhone calendar app, as well as the Google Calendars that have been synced to iPhone. It allows you to export up to 18 other types of data from iOS devices, such as WhatsApp conversations, iMessage, notes, voice memos and many more. 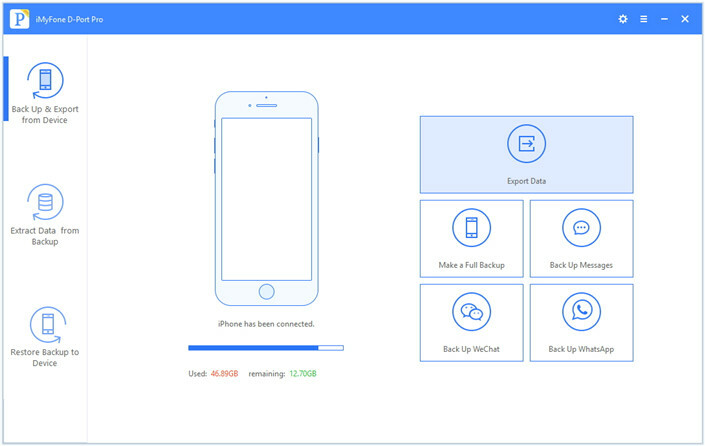 It lets you selectively back up your iPhone thoroughly, without overwriting any previous backups on your computer, and for free. 1) Access the software and select 'Back Up & Export from Device' > 'Export Data'. 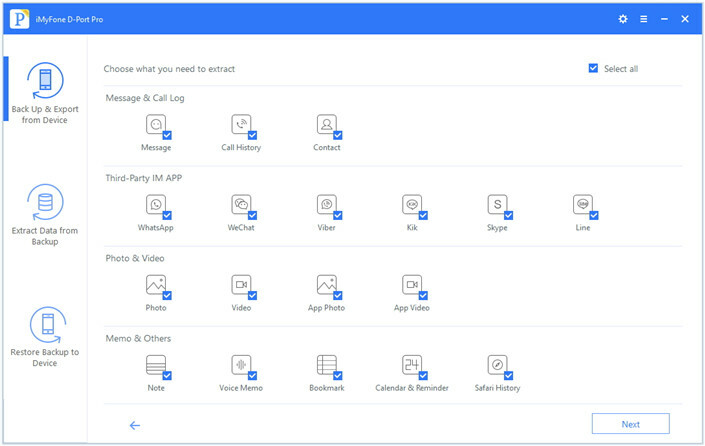 2) You'll be taken to another screen, which presents a variety of different data options, and you'll need to choose the one for Calendar, then hit 'Next'. 3) The software will work its magic, then it will showcase all the data and allow you to select what you export. Finish by clicking 'Export'. Adding a google calendar or multiple google calendars to your iPhone is extremely handy, especially if you schedule is jam-packed. So, follow the above tips, and you'll be able to add google calendar to iPhone and export them from iPhone to your computer if necessary. How to Get Text Messages off iPhone (iOS 12 Supported)?